The times, they are changing. We now live in a world of simplicity. From Internet shopping to mobile banking, there's no reason to step foot outside. We no longer need to leave our homes to rent a movie – now, with just the click of a button, you can stream movies and television shows right to your television, computer, or smart phone thanks to revolutionary companies like Netflix and Hulu. Netflix allows you to stream media from the Internet on-demand. By paying a small monthly fee and using the Internet to access Netflix, you can watch videos instantly. Simply search what you would like to watch, and if it's available (and it probably is), then hit "Play Instantly" and you're on your way to enjoying your flick. If the movie isn't available to be streamed online, then you have the option of having the DVD sent to your home for just a little more money per month. You can keep the rented movie for as long as you like, however you can only rent one at a time. Once you're ready for a new movie to be sent to you, mail the movie back to Netflix in the metered reply mail envelope that was sent with the movie. Once Netflix receives the movie, they will send the next movie in your rental queue to you. Hulu is a website that provides on-demand streaming of television shows, movies, webisodes, as well as other media, such as trailers, clips, and behind-the-scenes material from NBC, FOX, TBS, ABC and more. You can watch Hulu on your television by connecting a computer with a streaming capable video controller to your TV through HDMI or another type of connection. You can even access Hulu on your TV through the use of Blu-ray players, Internet-connected televisions, iOS devices, and gaming consoles. To make your life even easier than it already is, some television providers, such as DirecTV, are showing their support to these revolutionaries by teaming up with carriers of wireless initiatives, like AT&T and Verizon, so that their customers have the ability to access their wireless networks. According to a recent article, DirecTV CEO Mike White said that right now DirecTV has partnerships with wireless carriers in order to give customers the opportunity to access content on any type of device they like – and this partnership won't change anytime soon. If you have yet to sign up for DirecTV check out websites such as www.SaveonTVDirect.com as they often run special offers for opening an account. 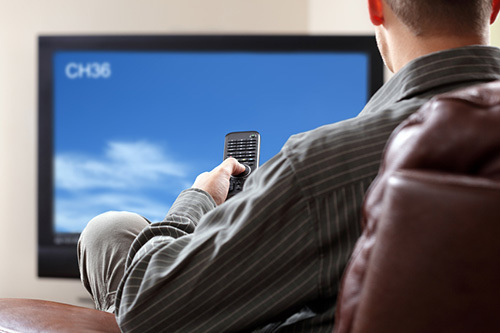 More and more options are becoming available when partnerships like this are being made, giving customers unlimited access to television shows, movies, and games. Wireless options are taking over our technology, and they are here to stay. Have you taken the big leap to adapt to the wireless revolution? With options like Netflix and Hulu and the continuing support of big TV providers, it's a breeze to make the switch.